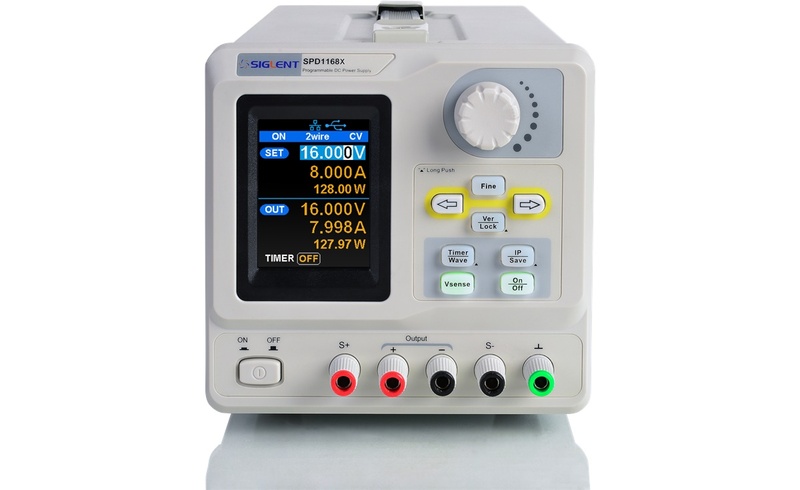 Siglent SPD1168X Power Supply ! !Special Offer!! Programmable DC power supply with one output channel with a max. output power of 128 W. +16 V / 8 A. 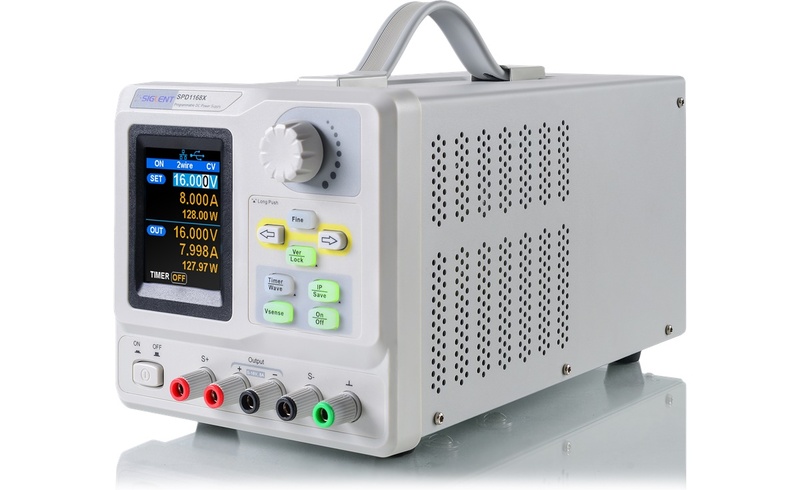 The programmable Linear DC Power Supply SPD1168X has a 2.8 inch TFT-LCD display, features remote computer control capability, ity and real time wave display, to deliver high performance and ease-of-use. 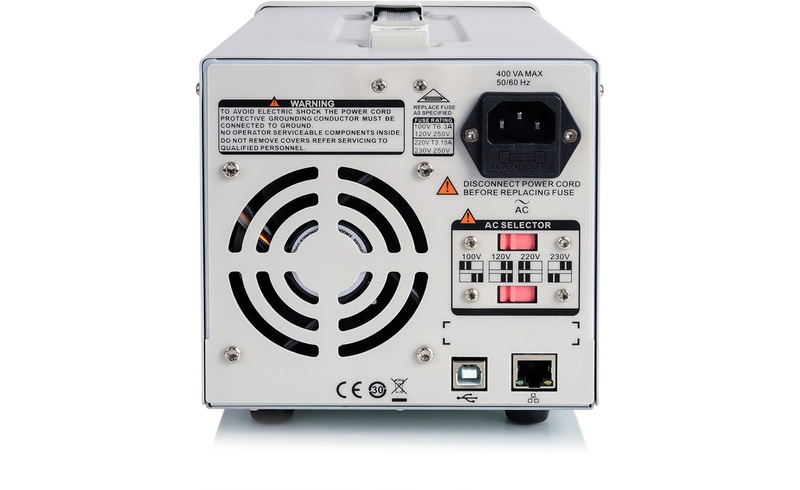 The SPD1168X features a high precision programmable output capable of delivering up to 16 V and also includes a 4-wire sense function for more accurate voltage sourcing, especially for long leads or high resistance connections. There are additional output short and overload protect functions to assist in production and development applications. 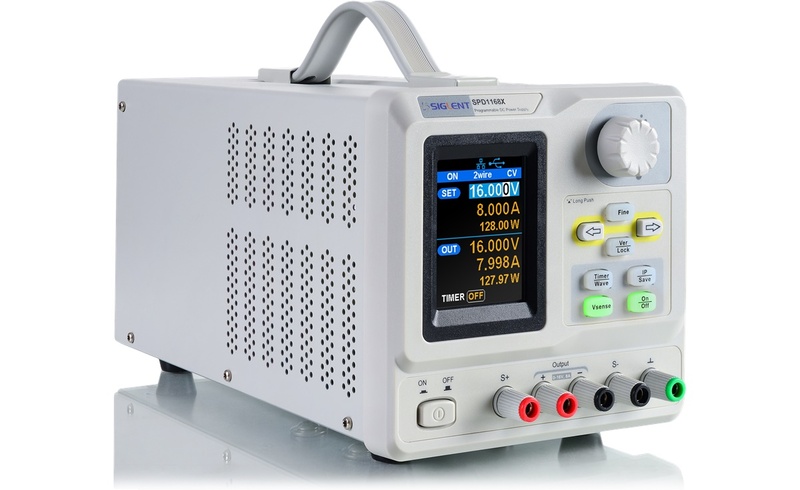 You will find the specifications of the SPD1168X series here.